Discussion in 'UFC Discussion' started by BlizzardVeers, May 30, 2014. Bennett said that he didn't know, off-hand, how long it had been since Silva had been licensed by Nevada. When asked whether the NSAC had indeed attempted to collect a sample of some sort from Silva recently, to test, (as they are authorized to do of fighters in Nevada, in and out of competition) the executive director declined to comment. "I'm not going to go there at this point in time," he said. Wandy's side of the story said that a guy with no identification tried to get him to sign some papers, and the papers where not even written in Portuguese. Well, and that he wanted to have an attorney look at the papers before he signed them, which really isn't that hard to believe. So who showed up to see Wand? Of course the papers wouldn't be in Portugues. Wanderlei was in America, in his American business, and they were trying to conduct official business under authority of the American government. Why would legal documents under those circumstances be in Portugues? They wouldn't. They couldn't be. 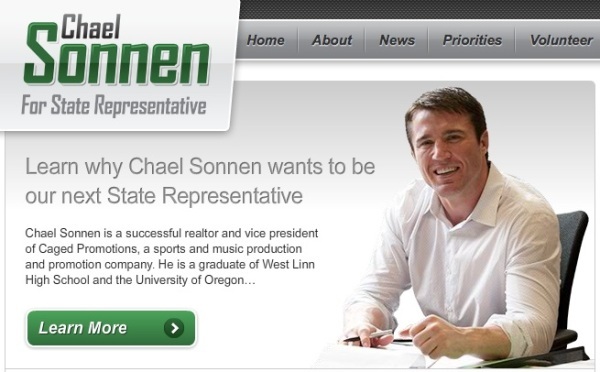 Chael P Sonnen. With one of those nose and glasses masks. LOL. And zee plot thickens once more. This is almost as good as my mama's soap operas. That I've uh... never watched, of course. Well we live in a country where you can take a dmv written exam in Portuguese and in many other languages, so why not have the paperwork he needed to sign in Portuguese? dmv is U.S government right? Chael sent in fake NSAC agents to totally mindfuck Wand out of the fight. Now he gets Vitor in a title eliminator. Isn't it odd how many times Chael Sonnen has fought for a title at different divisions? Despite his record he's always one fight away from a big money fight. The gangster from West Lynn after all. Dana sounds like he knows what really happen on this case. He has no reason to throw a big draw like Wand under the bus and he said that he's not sure if Wand will ever fight in the ufc again after this stunt on his pre-fight media scrum. How the hell did Wand not know it was Chael?